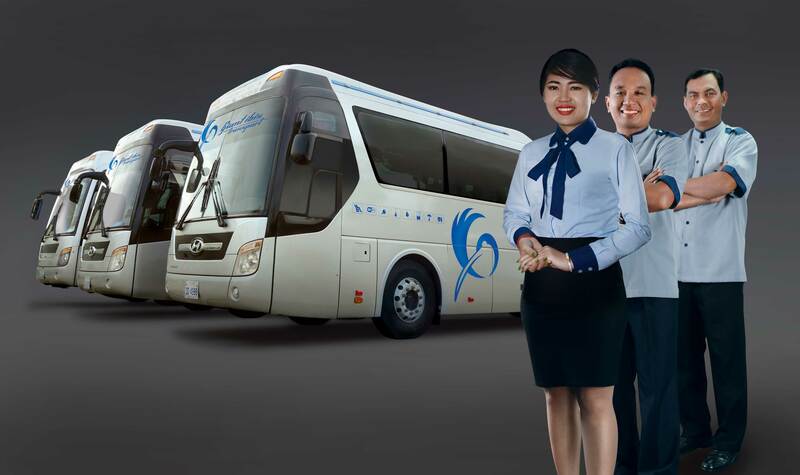 Bearing the name of Cambodia’s national bird, Giant Ibis Transport is a renowned bus operator that serves quality services since it was first established in 2012. The company has significantly gained many positive reviews as one of the reliable public transportation providers in the country. Giant Ibis offers bus routes to various major destinations in Cambodia such as Ho Chi Minh City, Siem Reap, as well as Bangkok in Thailand. Many travellers will find riding with Giant Ibis convenient, pleasant and comfortable as its main motto “safe, reliable, responsible”. The passengers’ comfort will always be Giant Ibis’ top priority as they are also covered with exclusive liability insurance upon embarking on a journey with the operator. Giant Ibis uses single-deck VIP buses designed with excellent onboard facilities to keep passengers well-accommodated. Wi-Fi service and charging ports are installed on the coaches to allow passengers to stay connected throughout the bus ride to their destination. Giant Ibis buses are furnished with comfy seats and spacious legroom to allow optimum comfort. Passengers are given complimentary snacks to enjoy during the journey once the seat has been booked with Giant Ibis bus. Travellers are offered various day and night bus routes with Giant Ibis. The routes include trips to the famous Ho Chi Minh City where visitors can check out the picturesque sights of Saigon Notre-Dame Basilica and experience the floating village in Siem Reap. For the border-crossing route from Siem Reap to Bangkok, Giant Ibis provides VIP immigration process for their passengers to make sure the entire check-in procedure goes smoothly. With online booking system available conveniently at Easybook, travellers can purchase Giant Ibis bus tickets within minutes without having to go to the counter. Bus tickets can be booked without any hassle by following a few simple steps. The booking can be made at Easybook website and mobile app where the platform is very easy to navigate. You can search Giant Ibis bus routes from anywhere and anytime through Easybook!